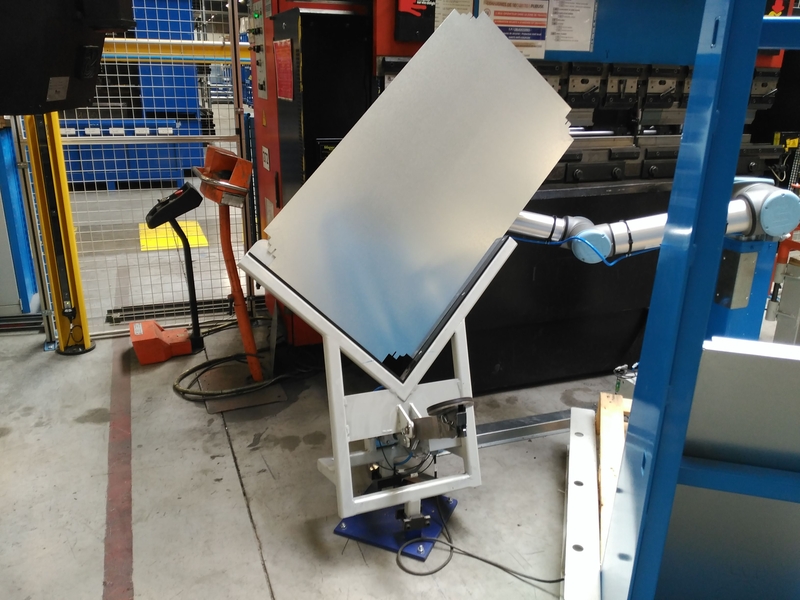 How did you synchronise the press brake with the UR? How do you ensure that the metal is properly placed before actuating the press? Concerning the synchronisation between the presse brake and the UR, I use an analogique sensor that informe the robot about the position of the folding "V" (that go up and down). So the robot know when it must start to move. The communication between the Amada and the UR is simple. -Position of the folding "V" (analogique sensor). I am a Project Engineer in a German Company. 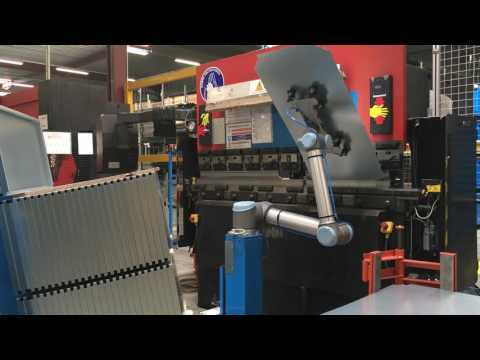 We are also planing to do the same Integration (univesal robots for pressbrake) for our amada machines as well. can there be some Information Exchange and Support from you.